meters. 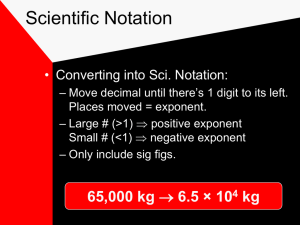 Write this in scientific notation. • A quantity that has both a number and a unit. • Fundamental to the experimental sciences. actual value of whatever is measured. 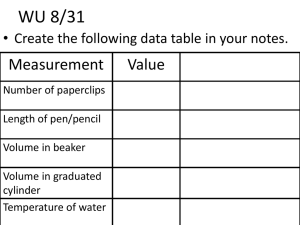 measurement are to one another. 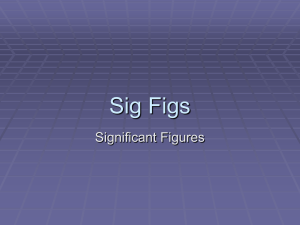 number of sig figs used in the calculations. 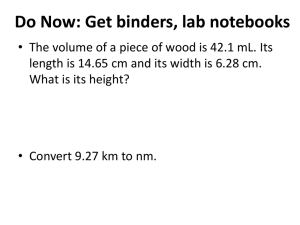 Could I have recorded the volume as 9.65 mL? sense after a few examples! 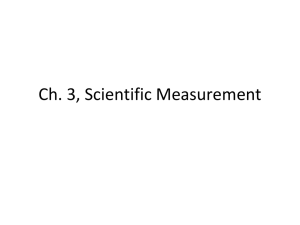 represents how precise that measurement is. 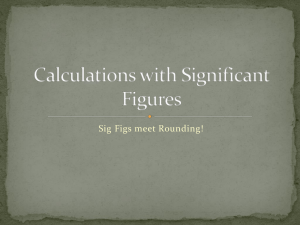 precise than a measurement of 3.12 g (3 sig figs). 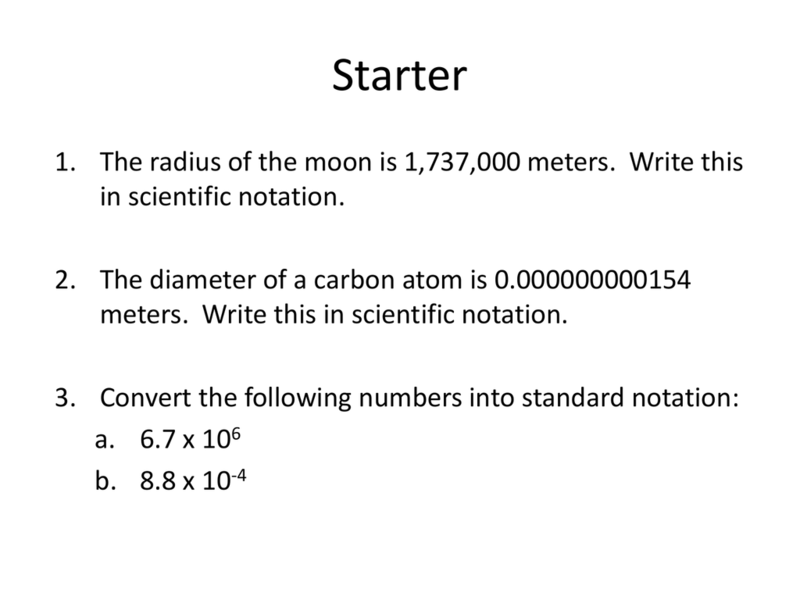 figures in a number. There are rules to do this. 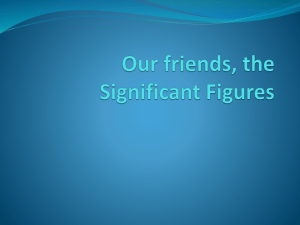 Any digit that is not zero is significant. Remember, this zero is significant! 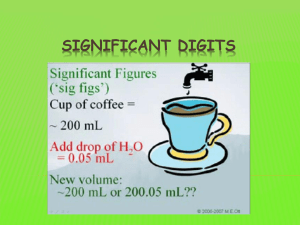 of sig figs by looking at the decimal number.